Won’t Someone Play This Record? One of the original “fully fledged” 1960s mod ska participants, Arthur Kay, would play on a number of reggae hits for the Trojan label at London’s Chalk Farm Recording Studios, founded by his manager, Vic Keary, and Bluebeat label head, Emil Shallet, in 1968. Chalk Farm would gain renown for being “the only UK studio that could properly replicate the Jamaican ska/rocksteady [and early reggae] sound” — Bob & Marcia’s classic take on “Young, Gifted & Black,” for example, would be laid down there, along with recordings by Junior Byles, Dillinger, Desmond Dekker, The Cimarons, and many others. 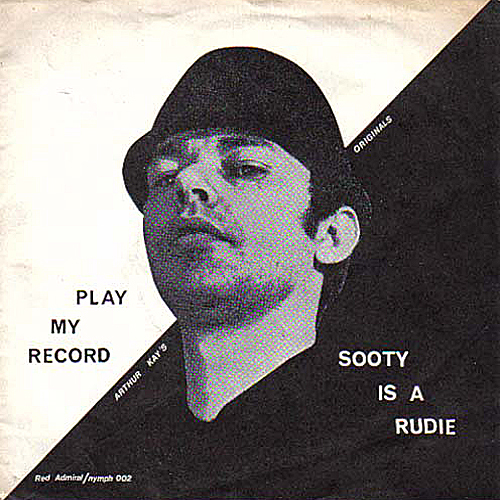 45Cat, puzzlingly, identifies the song as the B-side to “Sooty Is a Rudie” – despite the top billing accorded “Play My Record” on the 45’s own picture sleeve. Arthur Kay & the Originals would issue a compilation – Ska Wars 1979-1999, Featuring Judge Dread – whose reissue, Kay’s website announces, has sold out! ♦ “Play That Lonely Record” Gene Thomas 196? 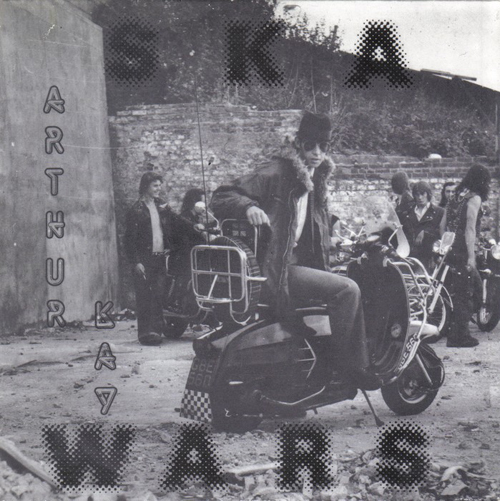 This entry was posted in "Play My Record", Arthur Kay & the Originals, Ska by Zeroto180. Bookmark the permalink.